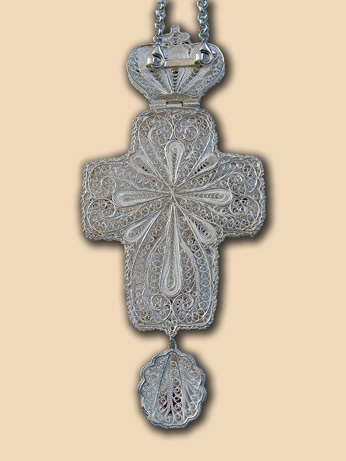 Bishop's pectoral cross in pair with panagia PN004, which can be seen HERE. Material: silver 950, pearls, red zircon, yellow mother-of pearl. 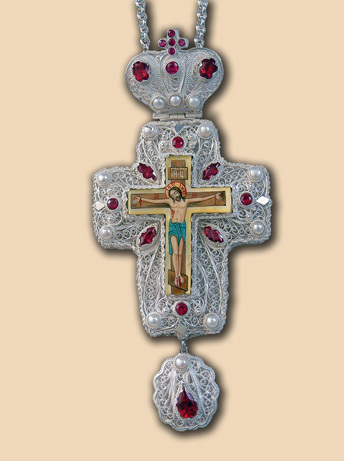 Size: cross 8×16 cm, chain 140 cm. Weight: cross 138 grams, chain 138 grams.